Although the official release is several months away, an early version of Android Pie for the Samsung Galaxy S9+ was leaked earlier. Customized with Samsung Experience 10.0, the build showcases several design changes that Samsung made to keep up with what Google did with Pie. The build is still in development stages and highly unstable. Several apps and features might not work as intended, and your experience will be less than optimal. It is possible to downgrade to Oreo, but difficult and will require you to know your way around Odin. 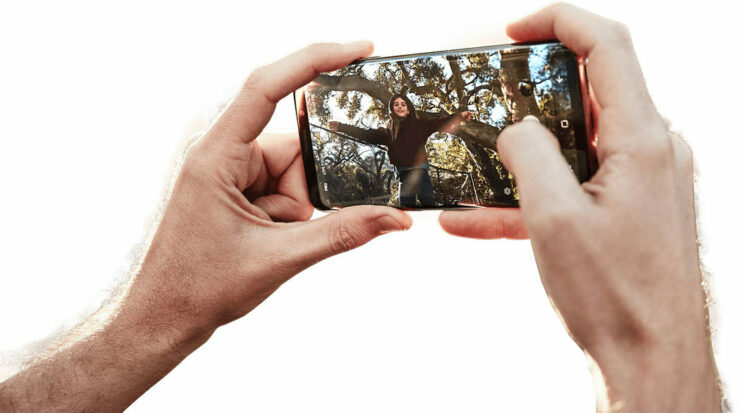 The release will work only on Snapdragon-based Galaxy S9+ handsets. DO NOT attempt to install it on Exynos-based handsets as it has the potential to void any warranties and brick your device. You’ll also need an SD card or ADB to sideload the update to your device. Once the process starts, it may take several minutes for it to complete. Do not interrupt it even if your device appears unresponsive. Ensure that the phone battery is fully charged before attempting the install and use the included cable for data transfer. Now, let’s take a look at how you’d go about it. Copy update.zip to the SD card, if you have one. Otherwise, skip this step. Locate and open the Odin files (the third set of files downloaded above). The zip will be named G965USQUS3ARG8_TMB.zip. Once you open it, you will see six files. Open Odin 3.13.1 that you downloaded earlier. At the Odib home screen, you will see five categories, though you will only use four as this is a general update. Put your phone into recovery (Odin) mode by turning it off then holding Power + Volume Down + Bixby button. Input the path of the corresponding BL, AP, CP, HOME_CSC (ignore CSC) from the ODIN files folder. The Userdata tab is to be left blank. Now, hit start. Your phone will flash the new firmware and then reboot. The process could take several minutes. After you boot into Android, wait about 5 minutes and then enter recovery mode by turning it off then holding Power + Volume Down + Bixby button. Use the volume buttons and power to select “apply update from SD card.” If you do not have an SD Card, skip this step. Use the volume buttons again to select the update.zip file from the SD card and the power button to select it. The actual update process will start now and can take between 2 to 10 minutes. If you don’t have an SD Card, use the volume buttons to select the “apply update from adb” option. Then open a command prompt/Terminal on your PC/Mac and type: “adb sideload <file location of update.zip>”. For example, if your update.zip is in C:\Downloads, you’ll need to type adb sideload C:\Downloads\update.zip. The update will start and can take up to 10 minutes. Once the update finishes, factory reset your device by navigating to Settings> General Managment> Reset> Factory Reset. You should now be booted into Android Pie on your Samsung Galaxy S9+. We recommend that you back up your data before attempting the process. Things shouldn’t go wrong if you follow the process to the tee. In case things go south, Samsung Smart Switch should help you mitigate some of the damage. If it doesn’t, you’ll have to flash the factory images back on the device.